Usually members only venue! Sienna Entertainment can facilitate your entrance. Open to public on Mondays only 11 pm to 5 a.m.
House of Blues Foundation Room is a selective club for professional and personal entertaining. 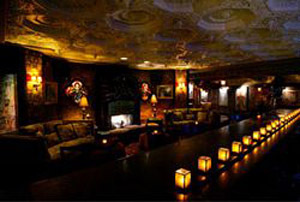 Every Foundation Room is a unique and beautiful space decorated with art and artifacts from around the world. JUST CHECK OUT THIS VIEW FROM THE FOUNDATION ROOM! Members enjoy intimate fine dining restaurants, exotic lounges and bars, and secluded Prayer Rooms perfect for meetings or social gatherings. The Las Vegas Foundation Room, located high a top Mandalay Bay, provides a breath-taking view of the Las Vegas Strip. Members experience private access to our fine dining restaurant, exotic lounge, four secluded rooms, and banquet space. The room reveals a higher state of living in an eclectic atmosphere. 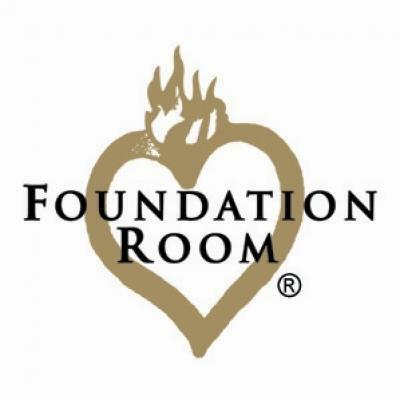 The Las Vegas Foundation Room, located high a top Mandalay Bay, provides a breath-taking view of the Las Vegas Strip. Members experience private access to our fine dining restaurant, exotic lounge, four secluded rooms, and banquet space. The room reveals a higher state of living in an eclectic atmosphere. The Las Vegas Foundation Room provides breath–taking view of the Las Vegas Strip from high atop the Mandalay Bay. Members will enjoy private access to our fine dining restaurant, an exotic lounge, seven secluded rooms, and banquet space. The Buddha and Ganesh Prayer Rooms, tucked away behind the lounge, offer a serene aura and are perfect for intimate dinners or informal cocktail receptions. Members can enjoy a secluded space for larger celebrations. The Gothic and 1856 Rooms offer a stately elegance, ideal for a birthday or anniversary celebration. Encased in the original paneling from the Kellogg Family estate, the Dining Room is dimly lit from antique chandeliers that reflect off of the gold leaf ceiling. The roof-top patio offers members the delight of outside dining and the Las Vegas skyline. Serves to create an aura vibe created to sooth and inspire our guests. Relax in our plush sofas and enjoy our media room to catch a glimpse of a House of Blues concert or the game. Guests have the option of Gold, Silver and Bronze membership levels. The annual cost of membership includes a donation to the International House of Blues Foundation®, a 501(c)(3) charity.